Cupcakes 'n Daisies: I was gone, but now I'm back . . .
Helllllllooooo! Did ya miss me? My husband needed to be in Florida for business and I tagged along. Here was the view 20 steps from our hotel room patio. Locals were whining about the cold weather. It was in the 60s and I thought it felt great. These shells were all stacked up and ready for someone to take notice and take a picture, thank you Mother Nature. On Friday I stopped in the Flash Sew & Quilt Shop. My husband had to work which gave me the whole day to do as I pleased. After a walk on along the beach I decided to hit one quilt shop. It was a very nice shop, no kits, but a nice assortment of fabric, all styles. I got a look at that Indigo Crossing line of fabric by Minick and Simpson for the first time, very lovely. The store also had a great selection of quilt books. New books I had seen online but hadn't as yet seen in person. I enjoyed browsing through them all. Someone in the store asked me if I was going to the quilt show. QUILT SHOW!! What quilt show!! 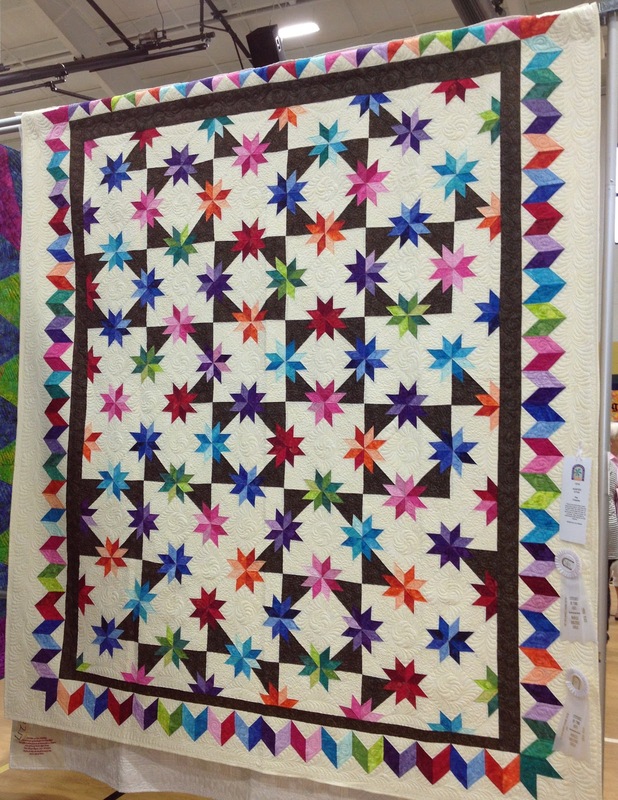 Turns out I was in the right place at the right time, the Naples Quilters Guild was holding their annual quilt show. I've got to be the worst quilt show photographer in history, but here are a few quilts I enjoyed and thought you may enjoy seeing also. 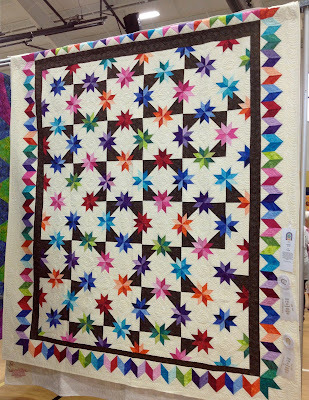 This is Hunter Star by Pat Thwalts, this is the third time she's made this pattern. Practice makes perfect, this is one lovely quilt. This is Explosions of Color by Mimi Krug. Mimi used Judy Niemeyer's Fourth of July pattern. This is Birds in the Air by Donna Johnson. This is Monet's Garden by Nancy Mullin. This quilt was hand pieced and appliquéd! It was stunning, I wish I had taken a better picture. 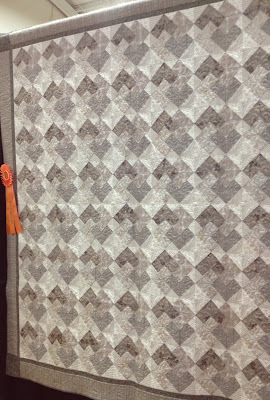 I didn't just take pictures of the brightly colored quilts, this neutral quilt caught my eye too. This is Card Tricks for Evan and Elle by Jennifer McCulty. You can't have a quilt show without a Dear Jane quilt. My Journey with Jane was beautifully pieced by Jeannette King. 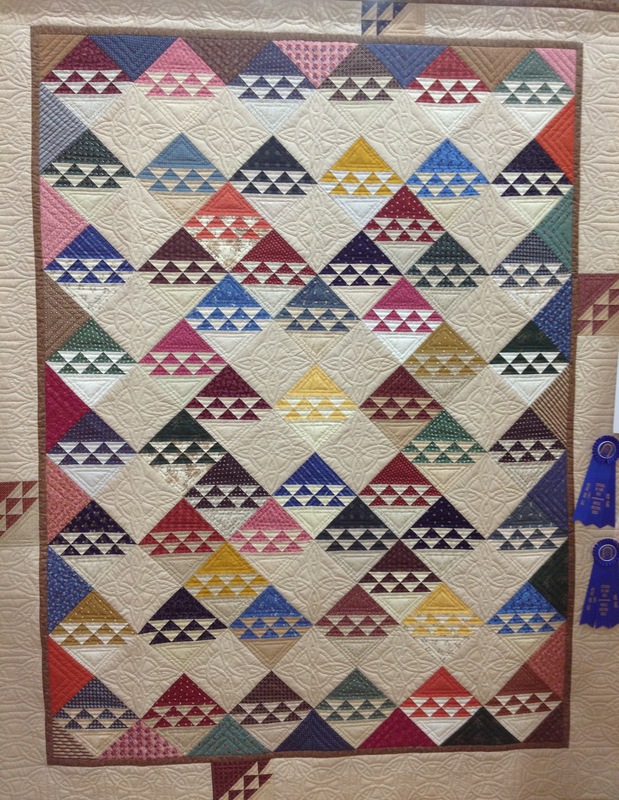 Only guild members were allowed to display quilts in the show, that's one talented group of quilters. The show was held in a well-lit venue and was plenty roomy. The thing I enjoyed the most, all the beautiful ribbons awarded by the judge. 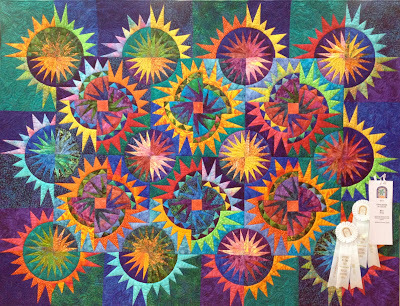 Most quilts had at least one ribbon, some had several. 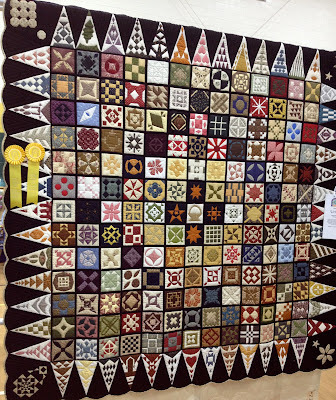 How great is that, everyone who entered a quilt in that show must have gone home happy and a winner. 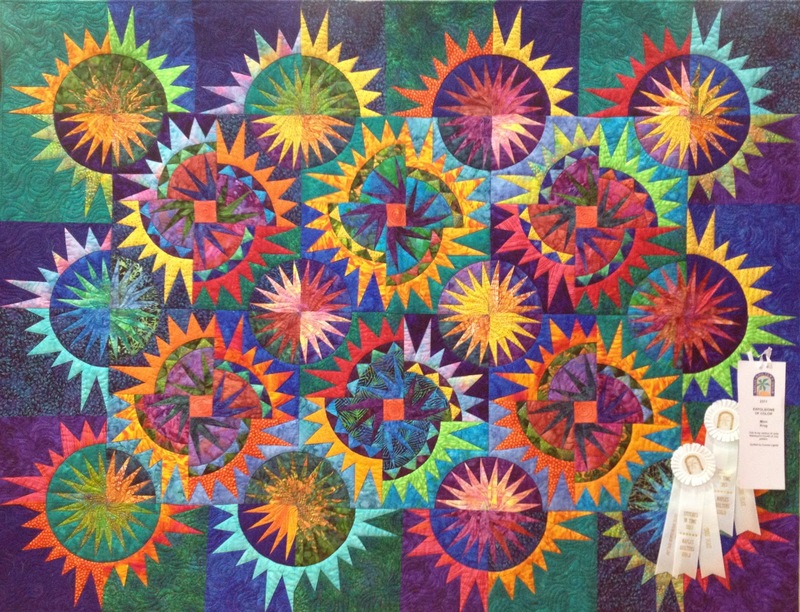 There were 20 different categories which probably helped with the number of ribbons, but I really like the idea of recognizing so many quilts and quilters. 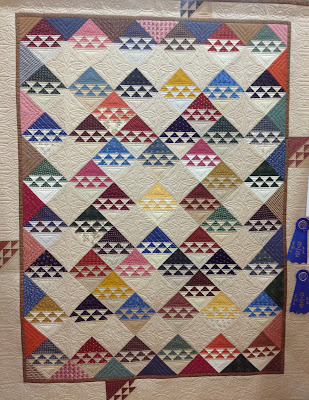 Pat yourselves on the back Naples Quilt Guild, you had a wonderful show, I'm thrilled I was able to attend. There's some 3 Barns quilt drama brewing at my house, stop by tomorrow for an update. I'm glad you enjoyed my beautiful state! 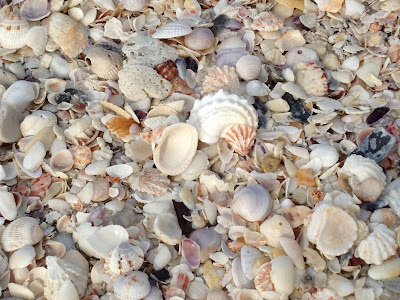 I am personally very fond of the gulf beaches as they are absolutely beautiful. Well how lucky did you get! looks like a great show, good vendors at the show???? I love looking thru the books at quilt shops, did you buy anything? What a beautiful getaway you had...the perfect mid-winter remedy! Lucky you to find a quilt store AND a show! The quilts were beautiful there and you got good pictures of some of the best I thought. I had a hard time with the veiwers choice as to many I liked. Hehehe! Well, you took great quilt show pictures! Great to have you back. We were caught in the wild storm and now my husband and one son have been unable to get home for three days now and we are unable to even leave our house. At least I can sew! Thelma, I can't believe it. 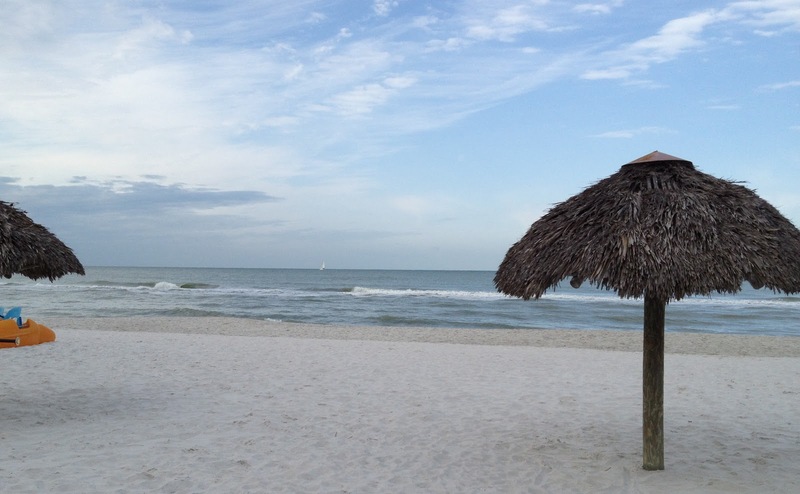 I started reading your blog entry, thinking to myself, "Oh, I wonder where she went in Florida". Then I got to the part about Flash Quilt Shop, and I knew! My husband and I have a condo in Naples, so of course I've been to the Flash Quilt Shop. 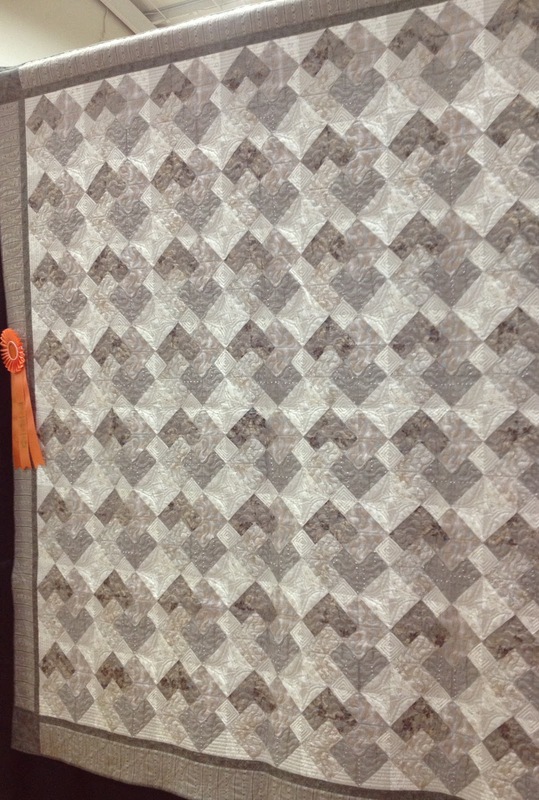 And I went to the Naples Quilt Show last Friday! I'm glad you had a great time! Hi margaret....reading the blogs and noticed you are here in FL. My husband and I are in Estero for the winter and I went to the Naples Quilt show...nice show. Are you a member of their guild? Wow! Talk about being in the right place at the right time. I think your photographs are wonderful...they show those quilts in all their beauty! Thanks so much for the show today. Glad you are home safe and had a great time! Oh, you were in my favorite part of Florida!!! That Dear Jane is AMAZING! 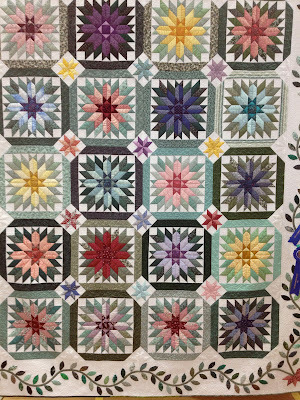 What a treat to find a quilt show out of the blue! We are having our big quilt show in Dallas this weekend so your pictures were a warm up for me. I hope you enjoyed the warm weather while you could, I hear that you guys are going to get a bit slammed with snow today. Are you ready to wrap up this winter yet? Drama with three barns? Hmm. You have me anticipating your post. So glad you enjoyed your little Florida R & R. We had 34 degrees here in Central Florida on Saturday and Sunday night, and believe me THAT is cold for Florida!! I am planting my little flowers and a few veggie seeds now, as it gets way too hot very quickly. What a nice trip to Florida , love the pictures and what are the chances there was a quilt show going on while you were in town SCORE !!! Lucky you!! Sun, surf and a quilt show. Were you in heaven? Wow - that view from your holiday room is fantastic! And what a treat to find a quilting exhibition while you were there - proof positive that you were meant to go to Florida! I am not sure what 60F is in C but I'm sure it is warmer than what we have here in the UK right now - although the longer days do make it feel as though Spring is just around the corner. Will be leaving also for Florida in almost a week - I'm ready for the sunshine!! I saw that they were having the show and wishing I had been closed enough........ perfect timing for you!! Yay!! I would love to make a Hunter's Star some day. Wow! An added bonus! 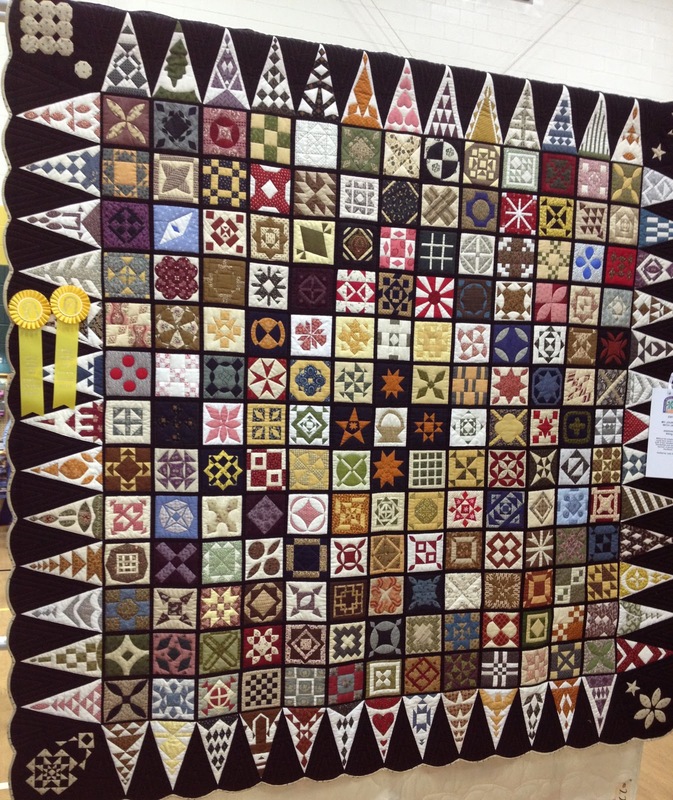 A fun quilt show :-) Thanks for sharing!